Experience the 279-acres of wonder at Lakes Regional Park on a leisurely ride on one of our Surreys, Deuce Coupes, or other unique cycles. Or soak it all in from the water on a kayak or pedal boat while you take in the sights of interesting wildlife and beautiful vegetation. 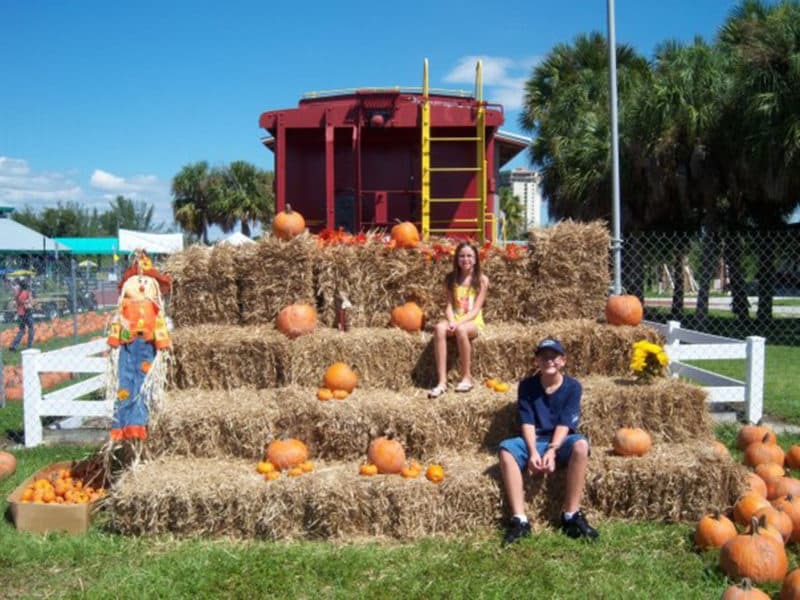 Ft. Myers, FL – Bring the whole family out to Wheel Fun Rentals’ Annual Pumpkin Patch October 12th – 14th & October 19th – 28th at Lakes Regional Park. Enjoy carnival-style games and activities, and weave through the Pumpkin Patch on one of Wheel Fun Rentals’ iconic four-wheeled Surreys. Activities include incredible inflatables, a Halloween Express Train Ride, hayrides, scarecrow contest displays, and much more! Families will enjoy sorting through farm-grown pumpkins of all shapes and sizes to find the perfect jack-o’-lantern. After working up an appetite, choose from a full menu of hamburgers, hot dogs, ice cream and soft drinks. Bike, specialty cycle, and watercraft rentals are available to explore Lakes Regional Park, including mountain bikes, tandem bikes, classic cruiser bikes, kids bikes, Wheel Fun Rentals’ unique four-wheeled Surreys, kayaks, pedal boats, and more. Wheel Fun Rentals’ Annual Pumpkin Patch will be open to the public October 12th – 14th & October 19th -28th: Monday-Friday from 6:00 PM to 9:00 PM, and on Saturdays & Sundays from 10:00 AM to 9:00 PM. Admission to the patch is free! The cost of activities ranges from $3 to $9, and there is a fee for parking. Get a head start on the Fall festivities by heading out to Wheel Fun Rentals at Lakes Regional Park for the Annual Pumpkin Patch, located at 7330 Gladiolus Drive, Fort Myers, FL 33908. Play carnival-style games, bike around the park, and have a great Fall weekend with your family. For more information, please visit www.fortmyerspumpkinpatch.com.